For several years, Mrs. H. T. Miller lived alone in a pleasant apartment (two rooms with kitchenette) in a remodeled brownstone near the East River. She was a widow: Mr. H. T. Miller had left a reasonable amount of insurance. Her interests were narrow, she had no friends to speak of, and she rarely journeyed farther than the corner grocery. The other people in the house never seemed to notice her: her clothes were matter-of-fact, her hair iron-gray, clipped and casually waved; she did not use cosmetics, her features were plain and inconspicuous, and on her last birthday she was sixty-one. Her activities were seldom spontaneous: she kept the two rooms immaculate, smoked an occasional cigarette, prepared her own meals and tended a canary. Then she met Miriam. It was snowing that night. Mrs. Miller had finished drying the supper dishes and was thumbing through an afternoon paper when she saw an advertisement of a picture playing at a neighborhood theatre. The title sounded good, so she struggled into her beaver coat, laced her galoshes and left the apartment, leaving one light burning in the foyer: she found nothing more disturbing than a sensation of darkness. The snow was fine, falling gently, not yet making an impression on the pavement. The wind from the river cut only at street crossings. Mrs. Miller hurried, her head bowed, oblivious as a mole burrowing a blind path. She stopped at a drugstore and bought a package of peppermints. A long line stretched in front of the box office; she took her place at the end. There would be (a tired voice groaned) a short wait for all seats. Mrs. Miller rummaged in her leather handbag till she collected exactly the correct change for admission. The line seemed to be taking its own time and, looking around for some distractions, she suddenly became conscious of a little girl standing under the edge of the marquee. Her hair was the longest and strangest Mrs. Miller had ever seen: absolutely silver-white, like an albino’s. It flowed waist-length in smooth, loose lines. She was thin and fragilely constructed. There was a simple, special elegance in the way she stood with her thumbs in the pockets of a tailored plum-velvet coat. “I’d be glad to if I can,” said Mrs. Miller. “Oh, it’s quite easy. I merely want you to buy a ticket for me; they won’t let me in otherwise. Here, I have the money.” And gracefully she handed Mrs. Miller two dimes and a nickel. They went over to the theatre together. An usherette directed them to a lounge; in twenty minutes the picture would be over. The little girl said nothing. She unbuttoned her coat and folded it across her lap. Her dress underneath was prim and dark blue. A gold chain dangled about her neck, and her fingers, sensitive and musical looking, toyed with it. Examining her more attentively, Mrs. Miller decided the truly distinctive feature was not her hair, but her eyes; they were hazel, steady, lacking any childlike quality whatsoever and, because of their size, seemed to consume her small face. “Miriam,” she said, as though, in some curious way, it were information already familiar. “Moderately,” said Miriam, and rolled a peppermint on her tongue. Miriam nodded ever so slightly. It snowed all week. Wheels and footsteps moved soundlessly on the street, as if the business of living continued secretly behind a pale but impenetrable curtain. In the falling quiet there was no sky or earth, only snow lifting in the wind, frosting the window glass, chilling the rooms, deadening and hushing the city. At all hours it was necessary to keep a lamp lighted, and Mrs. Miller lost track of the days: Friday was no different from Saturday and on Sunday she went to the grocery story; closed, of course. That evening she scrambled eggs and fixed a bowl of tomato soup. Then, after putting on a flannel robe and cold-creaming her face, she propped herself up in bed with a hot-water bottle under her feet. She was reading the Times when the doorbell rang. At first she thought it must be a mistake and whoever it was would go away. But it rang and rang and settled to a persistent buzz. She looked at the clock: a little after eleven; it did not seem possible, she was always asleep by ten. Mrs. Miller did not know what to say. Miriam, she saw, wore the same plum velvet coat and now she had also a beret to match; her white hair was braided in two shining plaits and looped at the ends with enormous white ribbons. “Since I’ve waited so long, you could at least let me in,” she said. Miriam regarded her blankly. “What difference does that make? Let me in. It’s cold out here and I have on a silk dress.” Then, with a gentle gesture, she urged Mrs. Miller aside and passed into the apartment. She dropped her coat and beret on a chair. She was indeed wearing a silk dress. White silk. White silk in February. The skirt was beautifully pleated and the sleeves long; it made a faint rustle as she strode about the room. “I like your place,” she said. “I like the rug, blue’s my favorite color.” She touched a paper rose in a vase on the coffee table. “Imitation,” she commented wanly. “How sad. Aren’t imitations sad?” She seated herself on the sofa, daintily spreading her skirt. “What do you want?” Mrs. Miller asked. Mrs. Miller sank to a hassock. “What do you want?” she repeated. For a second Mrs. Miller was without an answer; her hand motioned vaguely. Miriam giggled and pressed back on a mound of chintz pillows. Mrs. Miller noticed that the girl was less pale than she remembered; her cheeks were flushed. How old is she? Ten? Eleven? Mrs. Miller, in the kitchen, unsealed a jar of strawberry preserves and cut four slices of bread. She poured a glass of milk and paused to light a cigarette. And why has she come? Her hand shook as she held the match, fascinated, till it burned her finger. The canary was singing; singing as he did in the morning and at no other time. “Miriam,” she called, “Miriam, I told you not to disturb Tommy.” There was no answer. She called again; all she heard was the canary. She inhaled the cigarette and discovered she had lighted the cork-tip end and—oh, really, she mustn’t lose her temper. She carried the food in on a tray and set it on the coffee table. She saw first that the bird cage still wore its night cover. And Tommy was singing. It gave her a queer sensation. And no one was in the room. Mrs. Miller went through an alcove leading to her bedroom; at the door she caught her breath. As she stood, striving to shape a sentence which would somehow save the brooch, it came to Mrs. Miller there was no one to whom she might turn; she was alone; a fact that had not been among her thoughts for a long time. Its sheer emphasis was stunning. But here in her own room in the hushed show-city were evidences she could not ignore or, she knew with startling clarity, resist. Mrs. Miller was perched precariously on the hassock, smoking a cigarette. Her hairnet had slipped lopsided and loose strands straggled down her face. Her eyes were stupidly concentrated on nothing and her cheeks were mottled in red patches, as though a fierce slap had left permanent marks. Mrs. Miller tapped ash on the rug. Her head swayed slightly as she tried to focus her eyes. “You promised to leave if I made the sandwiches,” she said. “Please—I’d rather not,” said Mrs. Miller. Miriam lifted a shoulder, arched an eyebrow. “As you like,” she said, and went directly to the coffee table, seized the vase containing the paper roses, carried it to where the hard surface of the floor lay bare, and hurled it downward. Glass sprayed in all directions and she stamped her foot on the bouquet. Then slowly she walked to the door, but before closing it she looked back at Mrs. Miller with a slyly innocent curiosity. Tuesday morning she woke up feeling better; harsh slats of sunlight, slanting through the Venetian blinds, shed a disrupting light on her unwholesome fancies. She opened the window to discover a thawed, mild-as-spring day; a sweep of clean new clouds crumpled against a vastly blue, out-of-season sky; and across the low line of rooftops she could see the river and smoke curving from tugboat stacks in a warm wind. A great silver truck plowed the snow-banked street, its machine sound humming on the air. After straightening the apartment, she went to the grocer’s, cashed a check and continued to Schrafft’s, where she ate breakfast and chatted happily with the waitress. Oh, it was a wonderful day more like a holiday—and it would be so foolish to go home. She boarded a Lexington Avenue bus and rode up to Eighty-sixth Street; it was here that she decided to do a little shopping. She had no idea what she wanted or needed, but she idled along, intent only upon the passers-by, brisk and preoccupied, who gave her a disturbing sense of separateness. It was while waiting at the corner of Third Avenue that she saw the man: an old man, bowlegged and stooped under an armload of bulging packages; he wore a shabby brown coat and a checkered cap. Suddenly she realized they were exchanging a smile: there was nothing friendly about this smile, it was merely two cold flickers of recognition. But she was certain she had never seen him before. He was standing next to an El pillar, and as she crossed the street he turned and followed. He kept quite close; from the corner of her eyes she watched his reflection wavering on the shop windows. Then in the middle of the block she stopped and faced him. He stopped also and cocked his head, grinning. But what could she say? Do? Here, in broad daylight, on Eighty-sixth Street? It was useless and, despising her own helplessness, she quickened her steps. Now Second Avenue is a dismal street, made from scraps and ends; part cobblestone, part asphalt, part cement; and its atmosphere of desertion is permanent. Mrs. Miller walked five blocks without meeting anyone, and all the while the steady crunch of his footfalls in the snow stayed near. And when she came to a florist’s shop, the sound was still with her. She hurried inside and watched through the glass door as the old man passed; he kept his eyes straight ahead and didn’t slow his pace, but he did one strange, telling thing: he tipped his cap. “Six white ones, did you say?” asked the florist. “Yes,” she told him, “white roses.” From there she went to a glassware store and selected a vase, presumably a replacement for the one Miriam had broken, though the price was intolerable and the vase itself (she thought) grotesquely vulgar. But a series of unaccountable purchases had begun, as if by prearranged plan: a plan of which she had not the least knowledge or control. She bought a bag of glazed cherries, and at a place called the Knickerbocker Bakery she paid forty cents for six almond cakes. Within the last hour the weather had turned cold again; like blurred lenses, winter clouds cast a shade over the sun, and the skeleton of an early dusk colored the sky; a damp mist mixed with the wind and the voices of a few children who romped high on mountains of gutter snow seemed lonely and cheerless. Soon the first flake fell, and when Mrs. Miller reached the brownstone house, snow was falling in a swift screen and foot tracks vanished as they were printed. The white roses were arranged decoratively in the vase. The glazed cherries shone on a ceramic plate. The almond cakes, dusted with sugar, awaited a hand. The canary fluttered on its swing and picked at a bar of seed. At precisely five the doorbell rang. Mrs. Miller knew who it was. The hem of her housecoat trailed as she crossed the floor. “Is that you?” she called. “Go away,” said Mrs. Miller. Shortly the bell stopped. For possibly ten minutes Mrs. Miller did not move. Then, hearing no sound, she concluded Miriam had gone. She tiptoed to the door and opened it a sliver; Miriam was half-reclining atop a cardboard box with a beautiful French doll cradled in her arms. It was no spell-like compulsion that Mrs. Miller felt, but rather a curious passivity; she brought in the box, Miriam the doll. Miriam curled up on the sofa, not troubling to remove her coat or beret, and watched disinterestedly as Mrs. Miller dropped the box and stood trembling, trying to catch her breath. Mrs. Miller’s face dissolved into a mask of ugly red lines; she began to cry, and it was an unnatural, tearless sort of weeping, as though, not having wept for a long time, she had forgotten how. Carefully she edged backward till she touched the door. She fumbled through the hall and down the stairs to a landing below. She pounded frantically on the door of the first apartment she came to; a short, redheaded man answered and she pushed past him. “Say, what the hell is this?” he said. “Anything wrong, lover?” asked a young woman who appeared from the kitchen, drying her hands. And it was to her that Mrs. Miller turned. Mrs. Miller rested her head in the crook of her arm; she was quiet enough to be asleep. The woman turned a radio dial; a piano and a husky voice filled the silence and the woman, tapping her foot, kept excellent time. “Maybe we oughta go up too,” she said. “Harry, you’re a jerk,” announced the woman. “We been sitting here the whole time and we woulda seen…” She stopped abruptly, for the man’s glance was sharp. Mrs. Miller entered her apartment softly; she walked to the center of the room and stood quite still. No, in a sense it had not changed: the roses, the cakes, and the cherries were in place. But this was an empty room, emptier than if the furnishings and familiars were not present, lifeless and petrified as a funeral parlor. The sofa loomed before her with a new strangeness: its vacancy had a meaning that would have been less penetrating and terrible had Miriam been curled on it. She gazed fixedly at the space where she remembered setting the box and, for a moment, the hassock spun desperately. And she looked through the window; surely the river was real, surely snow was falling—but then, one could not be certain witness to anything: Miriam, so vividly there—and yet, where was she? Where? Where? As though moving in a dream, she sank to a chair. The room was losing shape; it was dark and getting darker and there was nothing to be done about it; she could not lift her hand to light a lamp. Suddenly, closing her eyes, she felt an upward surge, like a diver emerging from some deeper, greener depth. In times of terror or immense distress, there are moments when the mind waits, as though for a revelation, while a skein of calm is woven over thought; it is like a sleep, or a supernatural trance; and during this lull one is aware of a force of quiet reasoning: well, what if she had never really known a girl named Miriam? That she had been foolishly frightened on the street? In the end, like everything else, it was of no importance. For the only thing she had lost to Miriam was her identity, but now she knew she had found again the person who lived in this room, who cooked her own meals, who owned a canary, who was someone she could trust and believe in: Mrs. H. T. Miller. Listening in contentment, she became aware of a double sound: a bureau drawer opening and closing; she seemed to hear it long after completion—opening and closing. Then gradually, the harshness of it was replaced by the murmur of a silk dress and this, delicately faint, was moving nearer and swelling in intensity till the walls trembled with the vibration and the room was caving under a wave of whispers. Mrs. Miller stiffened and opened her eyes to a dull, direct stare. The old man is Mrs. Miller’s husband as an old man. As the young persona takes control as evidenced by the continual snowing she would not be able to recognize her future husband at all, let alone as an old man. She is no longer connected to Mrs. H.T. Miller. I really hate loose ends…. Intresting . Great use of description ,quick read, capote has a way of grabing his reader quickly and you read on . Thanks I was looking for that one. Love it. Miller is doing things she never did before. Buying sweets, shopping, taking a bus. I wonder how the old man plays into it? I read that the old man was the former person that Miriam bothered. In some way, I can’t help but feel that Miriam is actually the old woman’s younger self. But there is a moment where the younger Miriam says she’s been living with an old man and it seems to me that is how he plays into it. I don’t think he’s her husband, but I do think he’s the person this phantom has previously bothered and that the eye contact is some sort of acknowledgement of passing Miriam on to the next person…sort of…It’s what I love about literature–you can never be quite sure and your interpretation on latter readings very well may be completely different. Mrs. Miller is a doll. The story is told from her perspective, and Miriam is the little girl playing with her dolls. Although it sounds as if Mrs. Miller is unsure of her reality. I think little Miriam is a Death. An old man dies and she moves to elder Miriam. I read her as the harbinger of death too. I think it’s interesting though that Capote chooses a young girl to bring death, not disease, not advanced age, but youth. The elder Miriam’s vision seems to dim at the end which I read as her losing the last grasps of reality and slipping closer to death. She is losing her identity as well and the younger Miriam seems to be sapping it from her. Agreed, I think Miriam is death. Older people tend to revert back to children. Could it be loneliness? Or what if it’s even deeper? There’s something in this since Miriam is described as having gray coloured hair. To me, there’s no question that Miriam is Death; spoiled, selfish, un/expected, impossible to evade. The point at which she takes the cameo, Mrs Millers’ second most cherished possession, is a huge signifier of the power held over the old woman (the first possession is obviously her life itself). The two things in this that stood out for me were the flowers and the canary. Her contempt for imitations fits with an interest in only living things. Young Miriam disobeyed her host’s requests to leave the canary alone but got her wish to hear it sing because Death gets everything it wants. Perhaps the bird lived because its cage cover remained drawn and so the two never formally met. The old man was a ghost I believe, one who Miriam may have spent a short time with before he met his demise and seeing as she freely mentioned him to Mrs Miller, she may have mentioned Miller to the old man as her reason for ‘leaving’ him. The eye contact and doff of the cap are signs of recognition: ‘you’re next’. “…Could not life her hand to light a lamp” was also incongruous for the verb usage, and it is at this point that I believe Mrs Miller dies, just after coming to terms with her own mortality. Bravo, Capote. A marvellous execution. I agree that ghost Miriam represents death. A key clue Capote gives us is in the initial paragraph describing Mrs. Miller, “on her last birthday she was sixty-one.” While obviously one could read “last” as her previous birthday, the unusual phrasing lends the possibility that Capote is indicating that her previous birthday was Mrs. Miller’s last (i.e. she will die before her next birthday). “Could not life her hand to light a lamp” Was a typo…There were several typos made by the person typing and posting this copy. I’ve read the story on other sites and it reads “lift” her hand. Very nice blog post. I certainly love this site. Stick with it! what is the setting for the short story? The setting is mostly Mrs. Miller’s apartment. Mrs. Miller is a schizophrenic!! Miriam is her other half, second personality. That isn’t how schizophrenia works. She is schizophrenic but Miriam is not her other half but a figure of Mrs.Millers imagination. Since she was lonely and in grief of being a widow it caused her to go mad. Mrs.Miller saw and heard things that weren’t actually there and did not think clearly which are all signs of this mental disorder. I think the book had a good theme and was very mysterious. I liked that the book had a certian feel of mystery to it. I did not like that the girl in the book gave of a creepy feel. I would reccamend this book cause it had a good setting and good character’s . I discussed this short story with a literature group. The professor of the group is a wickedly crazy man with multiple degrees in English literature from UC Berkly. He gave me and interesting point of view of this story. The dream is the key to the story and the little girl named Miriam is simple just and idea. The dream shows a girl in a white bridal dress, who we infer to be Miriam, and the old man in front is the man who Mrs. Miller runs into in the street incident. The party is described as grey, like in a funeral. Now, outside of the subconscious world, Mrs.Miller and the old man run around buying presents for Miriam without any way of resisting, much like in a WEDDING. The old man is caring boxes which we imply to be presents because they match the description of the box Miriam has when she encounters Mrs. Miller for the second time. Now if you pay attention to the use of imagery and symbolism. Miriam is involved with snow which can actually be interpreted with death. Robert Frost’s poem where the man waits in the snow touched woods is actually interpreted to be a suicidal scene. The people following Miriam in the dream are people who have fallen for her trick and been killed subconsciously. Now that the old man is in the dream so he is unable to continue to buy or do what Miriam wants. Now Miriam is moved on to Mrs. Miller. The main question that remains unreal is; Is Mrs. Miller dead at the end of the story? Is Miriam REAL? Thanks for your interesting comments about “Miriam.” Nobody seems to agree on exactly what it means, or if it means anything. There are lots of different theories. I’m not sure what Truman Capote’s intention was, but I believe he was only 18 when he wrote it. One of my 2 favorite short stories of all time. The other being, “There Will Come Soft Rains” by Ray Bradbury. Both very haunting! Reading them gives me Goosebumps! Those who enjoy Miriam may also enjoy Mr. Bradbury’s short story as well. I like Miriam and Children On their Birthdays as standouts for Capote in short form. I also love the sense of haunting and Bradbury is wonderful. I read Miriam as a metaphor for drugs. Mrs. Millers indulges her once in what seems like a small and insignificant act and then later is controlled and haunted by her. It kind of represents the controlling power that drugs can have on a person.It causes Mrs. MIller to act out of her usual routines, and have apparent hallucinations given that the man down stairs could not see Miriam. Mrs.Miller also has apparently no control over Miriam and basically must indulge her everyone want and desire, consciously or no. 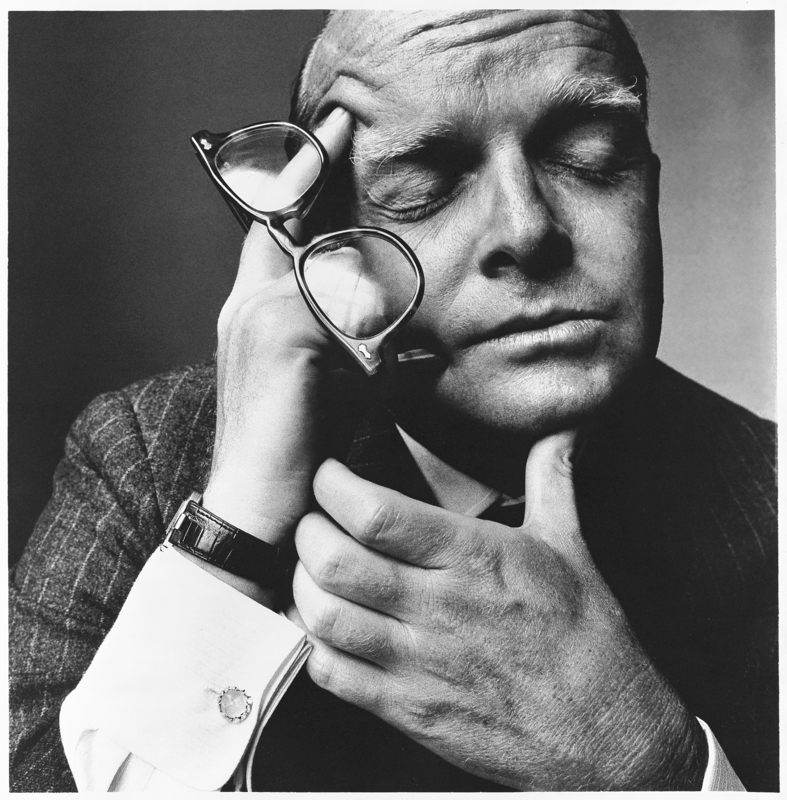 This was the first time that I had ever read anything by Truman Capote. I only became aware of this short story because a relative had to read it for his high school, literature project. The story captivated me from the first paragraph. I started reading it at night; but once I realized the context of the story it made me feel a little uneasy. I finished reading it the next day. If I was Mrs. Miller and something like what she went through, happened to me, I would be totally freaked out! After reading this short story; I immediately went to amazon and order the complete works of Truman Capote. Miriam is the ghost representing Mrs. Miller’s life before she was totally alone. Mrs. Miller is being haunted by her own visionary, isolated imagination. The only lively thing is the canary. And the description of her apartment, the city, and the other settings are drab, depressing, and unloved. Perhaps insight into Mrs. Millers’ environment externally, but represents her internal reality? Ghosts, visions and reality crash into each other and what we cannot and will not understand takes over? The old man might’ve been her grandfather or her father or her husband. Miriam the child is Miriam as a child, also the pied piper in her dream – she is her youth. The snowfall is a portent of death, which Miriam feels as creating separateness. Together, young Miriam and the snowfall are actual death. She’s had her lovely spring day of youthfulness and life; it’s time to pay the piper. Interesting, that Truman was a child with white-blonde hair, who’d rather have been a girl. He was a poor child, who’d have loved to have impractical, beautiful clothes, real roses in February, sweets at any time he liked and an exquisite French doll. This is why it makes sense that the adult Miriam doesn’t recognize herself, and why she feared the old man with whom young Miriam said she used to live; he was her past, the actual past that altered her, rather than the fantasy of herself as an indulged child.